World Champion Halter Stallion. Multiple World Champion Sire. Multiple Reserve World Champion Sire. Multiple Futurity Champion Sire. 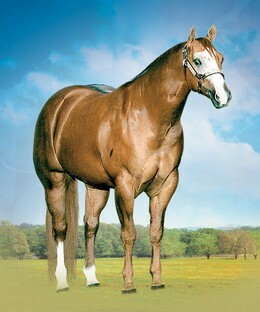 AQHA Champion Sire.